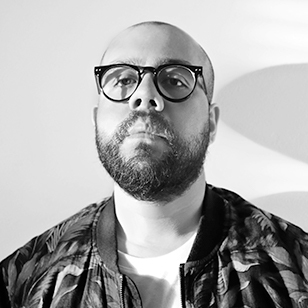 2018 Grand Jury member, Gonzalo Palavecino is an associate creative director originally from Chile with more than 10 years of advertising experience. In 2013, Gonzalo left Chile for Dubai in search of education and new experiences. Before joining Ogilvy & Mather Chicago in 2014, he worked for BBDO Dubai, BBDO Chile and Y&R Santiago. Gonzalo’s experience in different markets was fundamental in his decision to settle in Chicago — one of the most diverse and cosmopolitan cities in the United States. Prominent clients he has worked with include: Pepsi, Corona, Wrigley, Aspirin, Snickers, Blackberry and Glade, and his work has been awarded in some of the world’s most important festivals, including Cannes Lions, Lia, Clios, ACD and AD&D. Gonzalo Palavecino: If you want something, you’ll make time for it. Gonzalo Palavecino: Since this is my first time being a judge, I’m open to learning anything and everything. Hopefully, I can come back a fresh vision. Gonzalo Palavecino: Gender equality. I hate the way that advertising is approaching it. Equality should not be a trend. Equality should be something present in our lives every day. It’s dangerous for brands to use it as a strategy to sell more products. Gonzalo Palavecino: One Chicago. A campaign created in support of immigrants here in Chicago. It was so awesome give something back to people who have the same dream that I have. New York Festivals: In 3 words or less, what do you think about 6 seconds commercials? Gonzalo Palavecino: I don’t know. Gonzalo Palavecino: What it's like to have a mustache, from la "Comu" Argentina. Gonzalo Palavecino: I don't know, but I will love to see clients and agencies more like business partners. Gonzalo Palavecino: Never give up. Gonzalo Palavecino: Emerson Navarrete, probably the best art director from Chile. Gonzalo Palavecino: Anything but advertising, from cooking to taking random short trips. Gonzalo Palavecino: Michael Jackson’s Thriller. What movie or book best depicts the theme of your life? Gonzalo Palavecino: Be Stupid: For Successful Living.